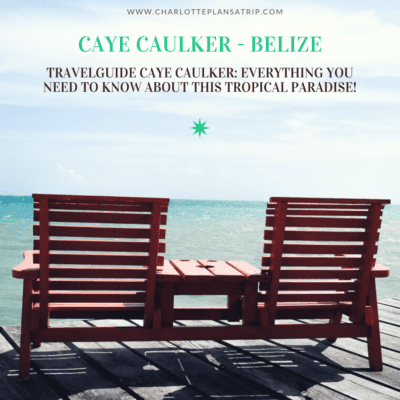 » Charlotte Plans a Trip | All you need to know about Caye Caulker in Belize! So basically there are two kinds of people: the people who love Caye Caulker and people who really do not like this island. 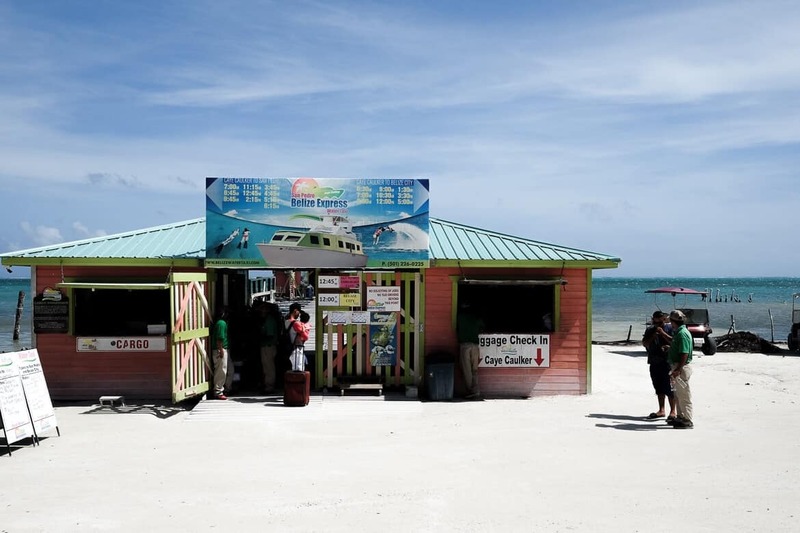 Before visiting Caye Caulker in Belize we heard those two different opinions very often. A little bit hesitant we decided to visit this place, and what turns out, we are clearly of the first kind: We found Caye Caulker amazing !! 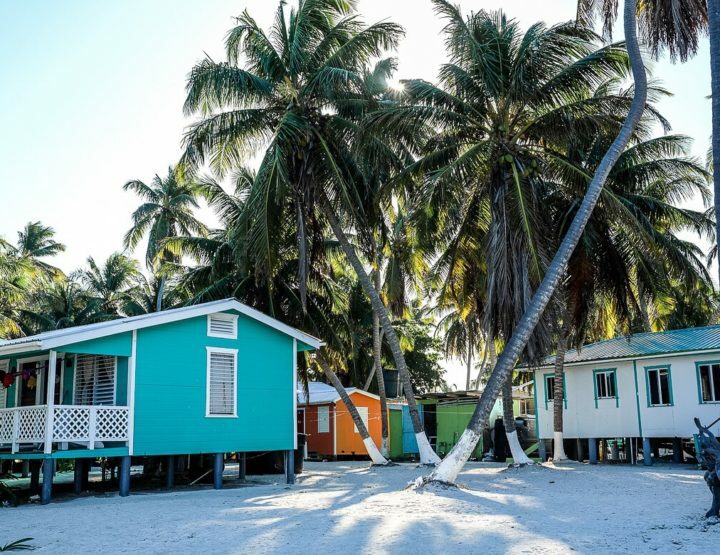 In this blog, you will find everything you need to know for a nice visit to Caye Caulker! 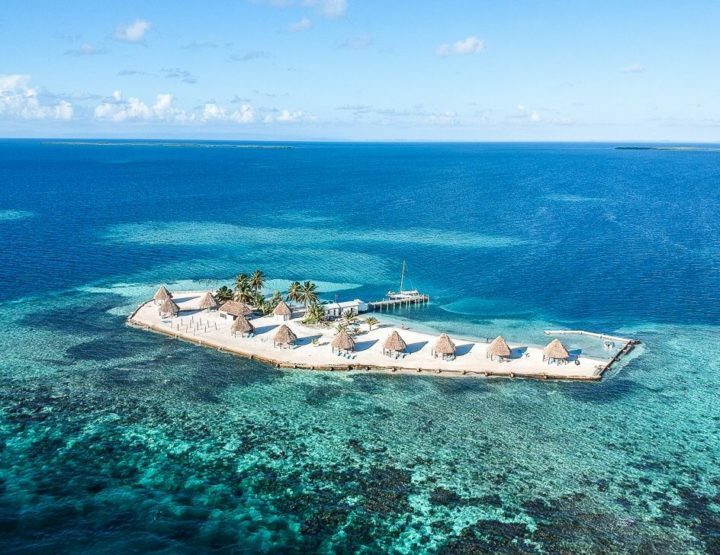 Just off the Belize coast are several islands located, so-called caye’s? One of the most famous ones is Caye Caulker, a tiny island less than eight kilometres long. In the middle, it is split in two by a narrow water channel. Therefore there are actually two islands. The southernmost island is the place to be, but according to the rumours, electricity is being installed on the northern island. 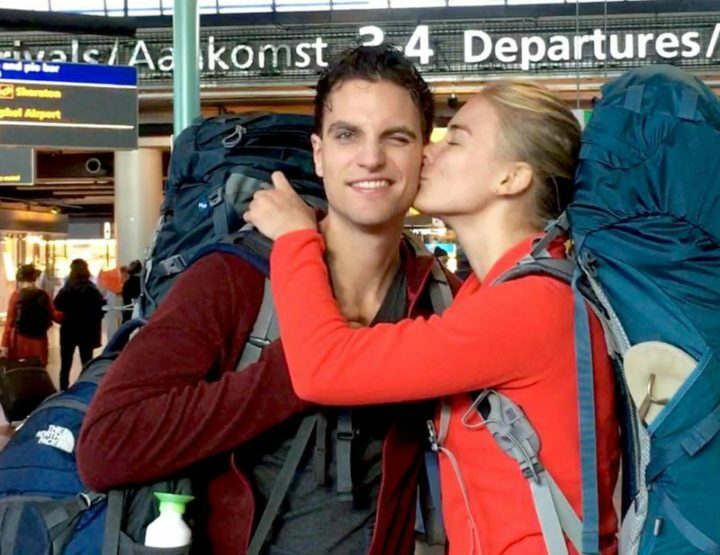 After that has happened, probably there will be more tourism on the northern part as well. 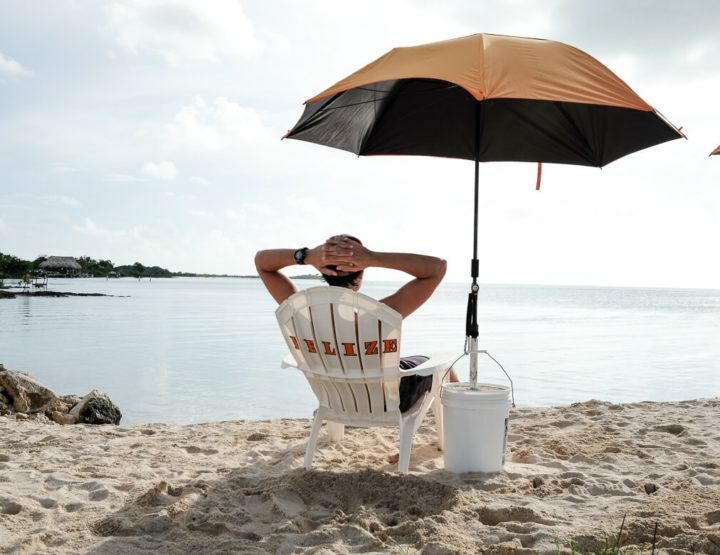 The atmosphere on Caye Caulker is relaxed. Take it easy, it the motto of the Islanders. And so we did. We swam, walked around the island and lay down in a hammock. But this is also a great place to explore the ocean! We made some beautiful scuba dives and saw sharks, rays and much different fish. 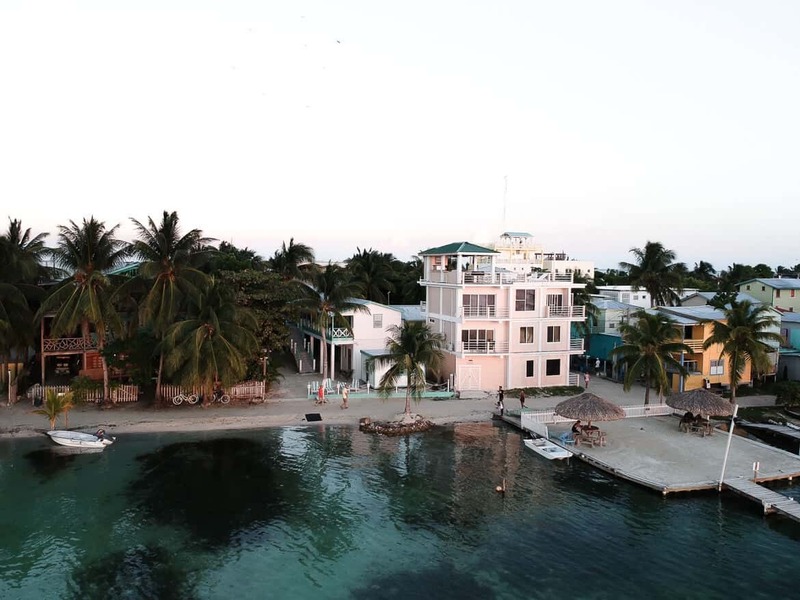 How do you reach Caye Caulker? Caye Caulker is about 45 minutes by boat from Belize City. There are two water taxi companies that you can take: Belize Water Taxi and Ocean Ferry Belize. Belize Water Taxi sails more often, but Ocean Ferry Belize is just slightly cheaper. You pay between USD $ 25 and USD $ 28 for a return ticket. If you come from San Pedro, you can also take one of the above water taxis. Approximately the same prices are applied. You can order a ticket online, via your ho(s)tel, or simply at the port. We usually booked our tickets half an hour before departure and still had enough time left. Next, to that, you can also fly to Caye Caulker. There are two airlines: TropicAir and Maya Island Air. 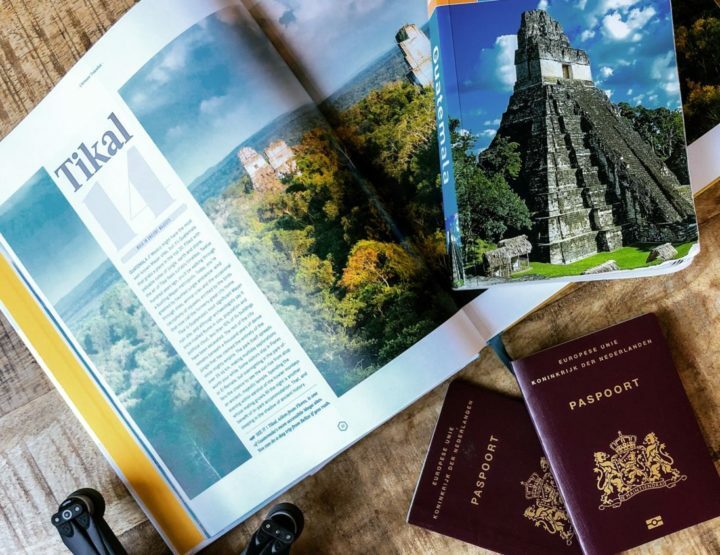 You already buy a single flight from USD $ 38. It is cheaper to fly from the regional airport than from the international airport. TIP: Book a return ticket for the ferry, this is a lot cheaper than a single ticket. 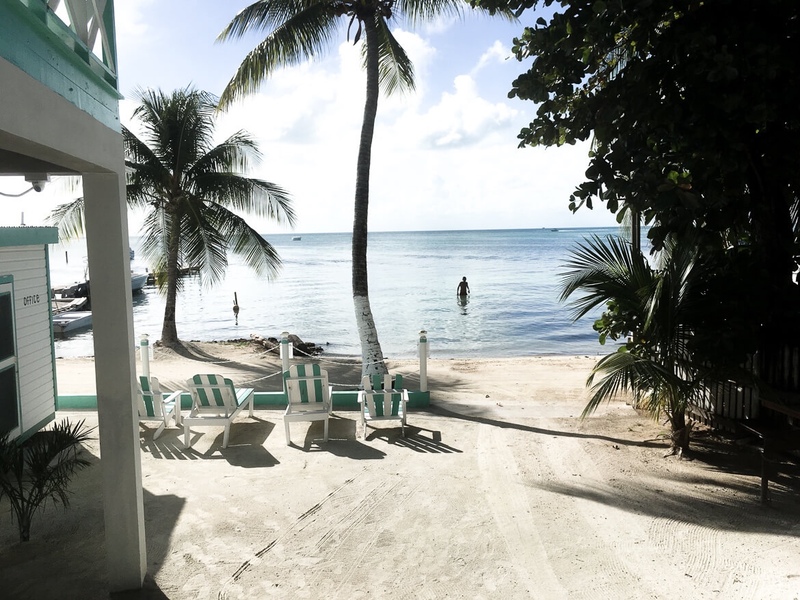 What to do on Caye Caulker? The first thing we did on Caye Caulker was relaxing and sleeping. The tranquillity that prevails on this tiny island is wonderful! More than ones a local said to us “Hi people, please go slow, you are not in a hurry”. And that is exactly the atmosphere and mentality on this island. Take it easy! In many places on the island, you can see hammocks. Just along the beach to quietly doze off while a delicious ocean breeze passes. Or how about a rocking chair overlooking the water while being served a big Pina Colada? To stay in that relaxed atmosphere, or to start being relaxed, you can follow a yoga class. On the rooftop of Namaste Café is the yoga studio RandOM Yoga. Yoga classes are daily (except Sunday) at 09.00 AM. The price? There is no price, it’s Yoga on donation. You may have heard of The Great Blue Hole: a sinkhole that is so round and deep blue that you can even see it from space. Not only can you dive into this 124-meter deep water cave, but it’s perhaps even nicer to have a look at it from the air. We ourselves considered diving here, but with a price of over USD $ 350 per person, we thought it was a bit too crazy. We hear many negative stories about this dive. It seems to be pretty disappointing, with little light and hardly any animals. Next, to that, the two-hour boat trip to get here is apparently pretty rough. So that was an easy decision. What did look very appealing to us, is to fly over this place in a small aeroplane. Such flights can be done from Caye Caulker for about USD $ 200, still a hefty amount, but way cheaper than diving. Caye Caulker operates daily flights with Tropic Air and Maya Island Air. Book a few days in advance, unfortunately, when we arrived, there was no availability left. Tip: The Great Blue Hole flights are much cheaper from Caye Caulker than from San Pedro! Go diving or snorkelling above the Belize Barrier Reef! This was definitely one of my favourite things to do on Caye Caulker: scuba diving. Just before we left for Belize, I got certified in the Dutch cold water. I was, therefore, looking forward to diving in the warm tropical waters of Belize. And that certainly did not disappoint! No wait, that’s an understatement: it was great! The big schools with thousands of fish, the beautiful coral and the sleeping shark we encountered. We saw large rays, stingrays and some beautiful eagle rays. The coral reef in Belize is one of the most beautiful reefs in the world. When we visited the Great Barrier Reef in Australia, we were shocked at how badly the reef is there. Due to global warming, enormous amounts of coral die every year. A terrible fact especially when you consider that coral ensures that CO2 is absorbed from the air … Fortunately, the reef in Belize is still relatively healthy. Hopefully, this stays that way! We dived with the new company Blue Wave Divers. I can really recommend them, we had brand new gear and a good instructor! Don’t you like to dive? Then definitely make a snorkel trip. It’s certainly worthwhile to view the beautiful reef from above. In addition, you will probably also see a number of sharks and rays and with luck a turtle or a manatee. The snorkelling trips with Raggamuffin seem to be great! This was definitely the highlight of our time in Belize! From Caye Caulker we left on a three-day sailing trip with Raggamuffin. 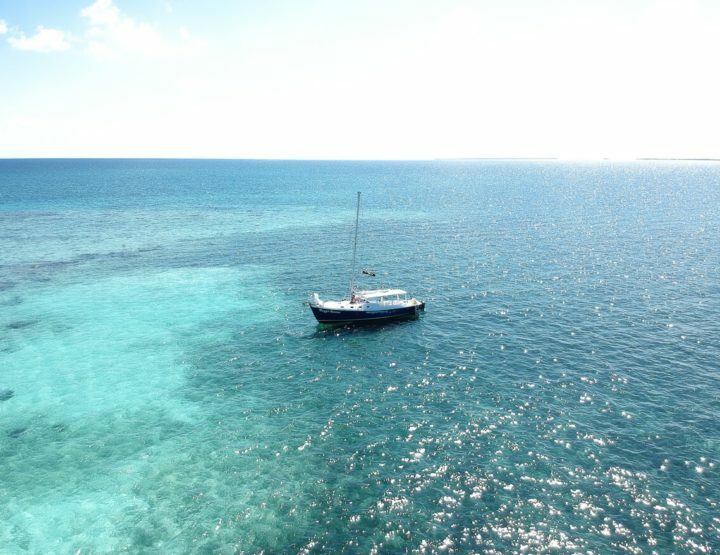 In this blog you can read all about it: Sailing in Belize with Raggamuffin. It was amazing! With great food, a super cool crew and fun passengers. During a sailing trip you sleep on uninhabited islands. During the day you can snorkel, fish and sunbathe as much as you want to. In the evening you eat freshly caught fish and lobster and drink rum punch. All in all, this is a great adventure that you shouldn’t miss. Don’t have the time for three days of sailing? 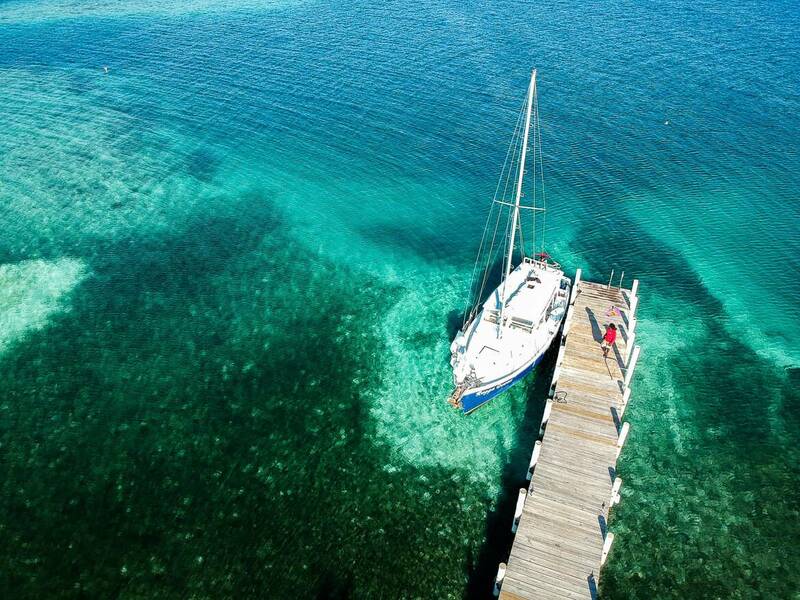 Raggamuffin also organizes snorkel sailing trips and sunset sailing trips. Definitely worth it! 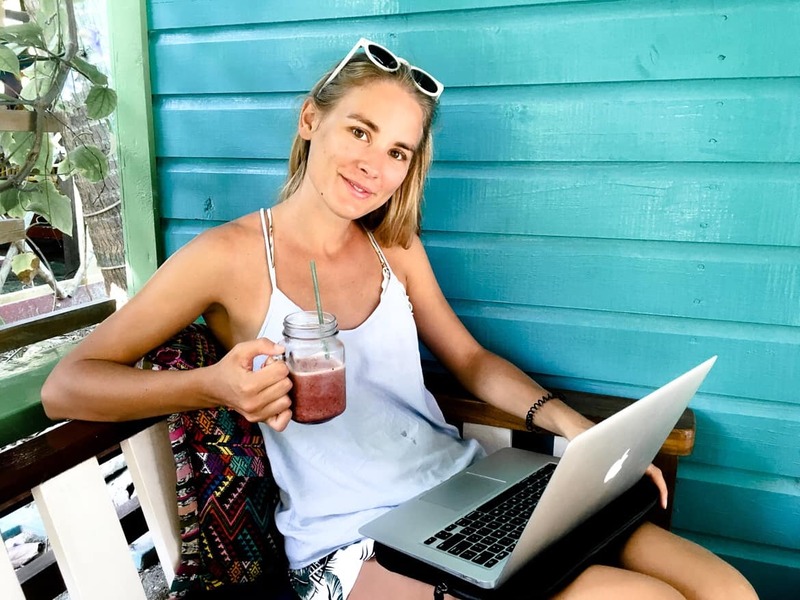 Where to eat at Caye Caulker? There are plenty of restaurants on the small Caye Caulker. Below are some restaurants that we liked! 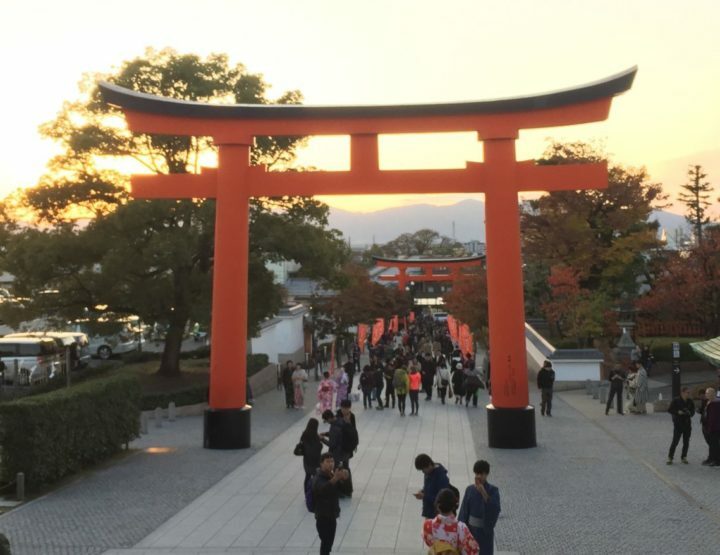 They include a couple of non-tourist spots! Suggestion Gourmet is really a very special place. It is a restaurant, a bakery and you can also stay overnight (B&B Jungle Cocoon). But that is not what makes this place so special. The cook in the kitchen here is a famous French pastry chef. 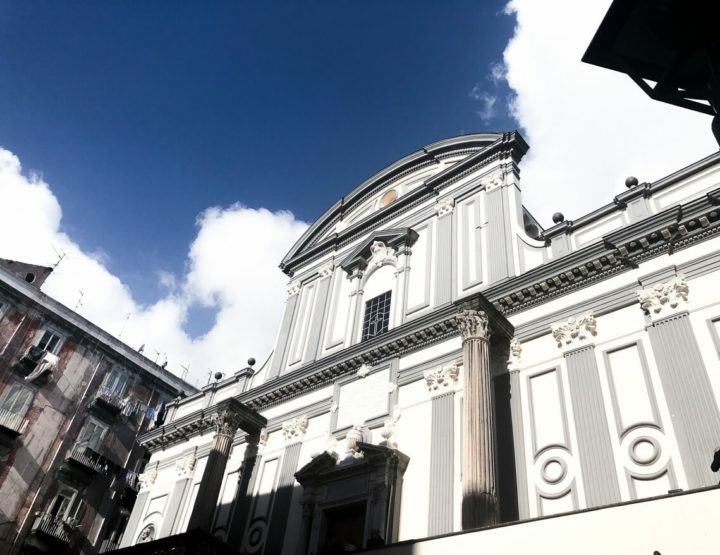 The story goes that he had several times offers from star restaurants, which he rejected every time with the announcement: “I prefer to work in peace on a tropical island”. 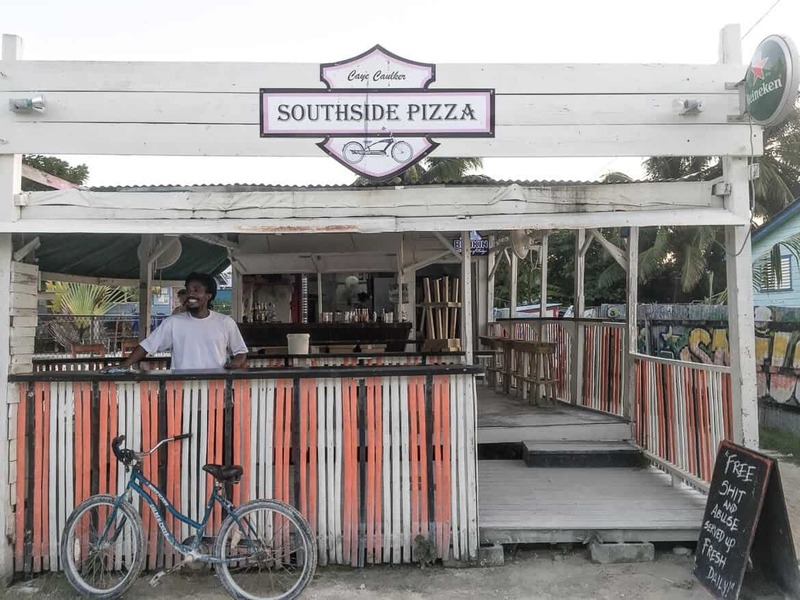 And so there is a restaurant and bakery on the tiny Caye Caulker where you can buy bread and pastries made by one of the best pastry chefs in the world. Unbelievable! We bought baguettes, croissants and pains au chocolat a couple of times and it was all amazing! 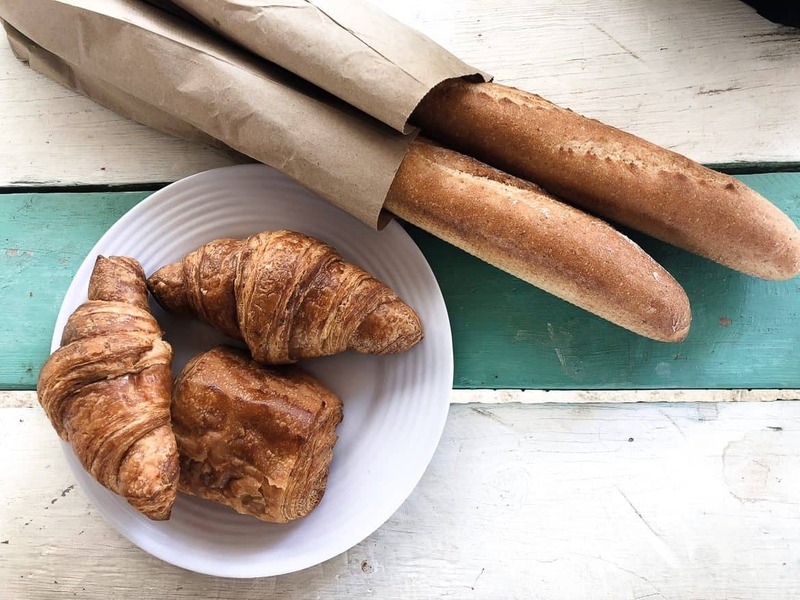 Tip: do you want to get baguettes or croissants here? Be there early. It seems that in the morning there is often a big line of locals! Well for the atmosphere you certainly don’t have to go to Enjoy Restaurant. What for then? For tasty and especially the cheapest lobster of the entire island. One sells a whole lobster for 20 Belize dollars. That is less than 10 euros! The lobster is fresh and well grilled. They are also decent units so trust me, you certainly won’t go home hungry. Tip: looking for another place for cheap and tasty lobster? Wish Willy restaurant also seems to be a must! We ate a very tasty pizza at Southside Pizza. Highly recommended. The atmosphere is relaxed, the pizzas are baked in a brick oven and there are often playing bands. Do you have a bit of room left after your pizza? Then order the cinnamon rolls, really delicious! Another good secret is Chef Juan. Chef Juan makes the most delicious lemon meringue pie I have ever eaten! Every day Juan bakes a number of pies, which he sells in his restaurant in the morning. Usually, they are sold out to locals who know exactly how good Juan’s pies are, half an hour after opening. We were lucky and got the last piece of lemon meringue, so delicious! So be here on time. Next, to that, you can have breakfast, lunch and dinner at Juan. At Namaste, in the middle of the island, you get tasty smoothies and coffees. They also have good wifi and a nice seating area so I have been writing here for several afternoons. In the morning you can do yoga on the roof. Well, the Lazy Lizard is a place you have to know when you’re on Caye Caulker. 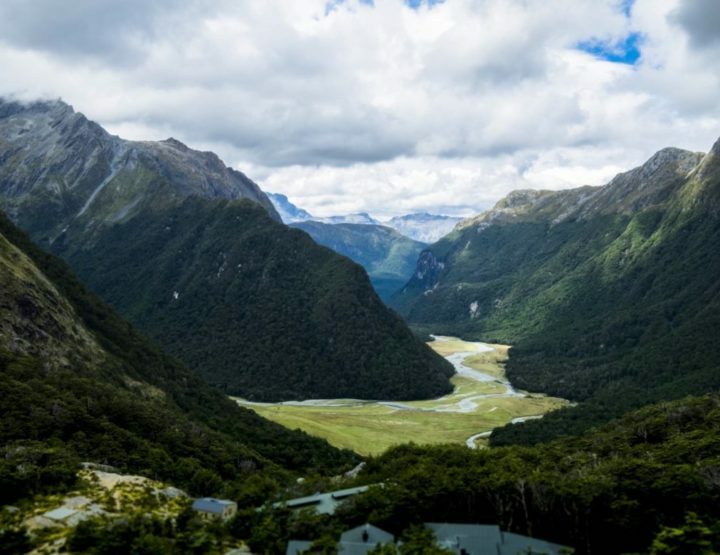 It is located on the Split, the end of the south island, where kind of a beach has been built. There are beach chairs everywhere and you can enter the sea via small stairs. At Lazy Lizard you get tasty drinks, especially during Happy Hour, very well priced! The atmosphere is relaxed, in the afternoon there is a DJ and the setting near the water is fun. Food is a lot more pricey over here. 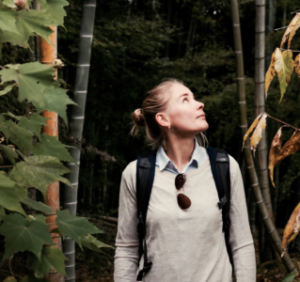 TIP: are you travelling on a budget or don’t feel like eating out? Street vendors cycle along all day with the most delicious beignets, sandwiches or fresh fruit. Cheap and delicious! Try especially the coconut and cinnamon bread that one of them sells! 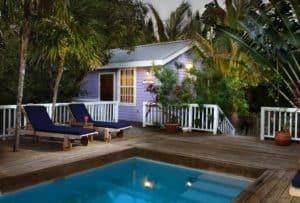 Where to sleep on Caye Caulker? 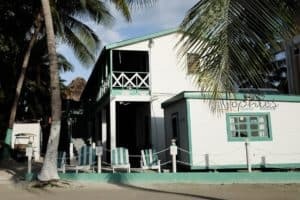 There are a lot of hostels and hotels on Caye Caulker. Prices are generally slightly higher than on the mainland of Belize. 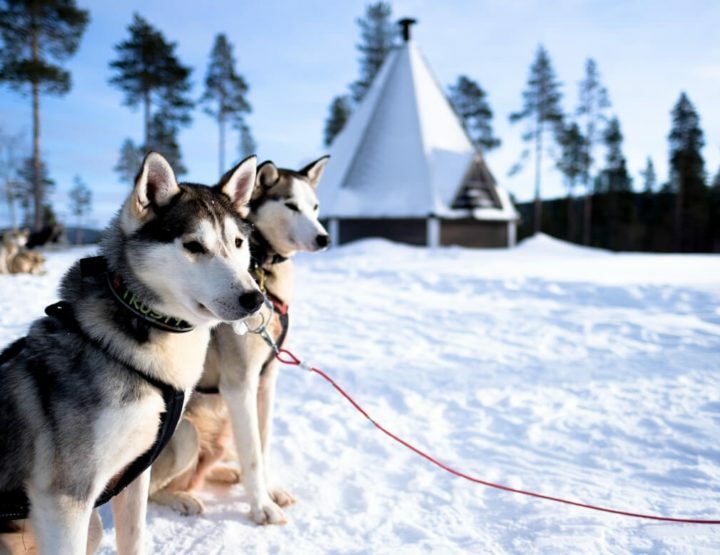 Especially during the high season, it’s smart to book ahead. Below are some nice hotels that we recommend. This is where we slept. It has just been renovated and looks cute. The location, near the Split, is great! Big plus: there is crockery so you can make breakfast! From €33 per night for 2 pers. This B&B is located outside the center. It’s a spacious room and in the morning you can have breakfast from a world famous French pastry Chef. From USD $ 98 per night for 2 pers. These luxury Cottages come with three swimming pools! It’s located slightly south of the center and is quieter. Inside, the cottages are fully equipped. 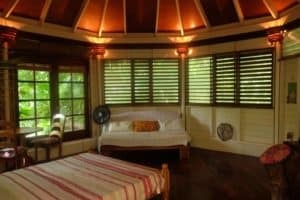 From USD $ 140 per night for 2 pers. 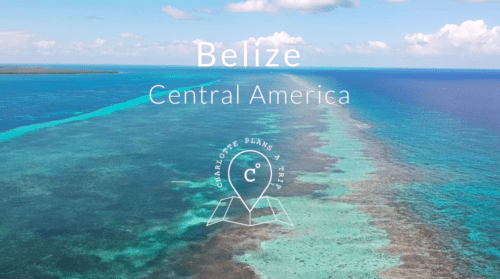 Video: island hopping through amazing Belize! 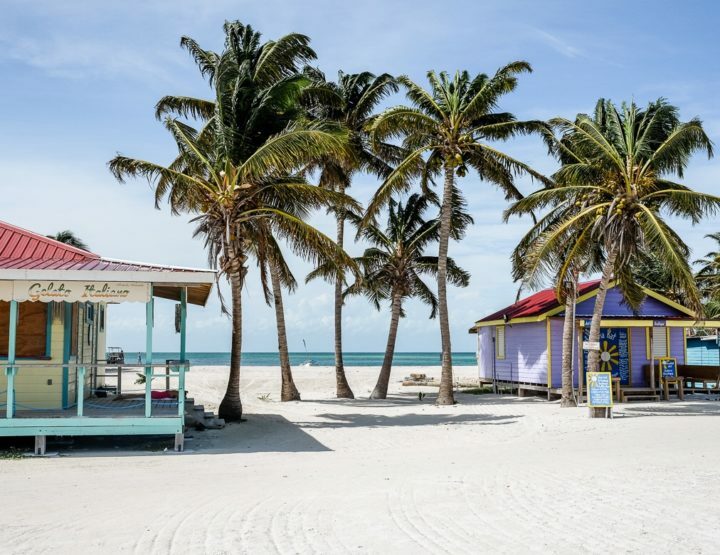 Caye Caulker or San Pedro (Ambergris Caye)? 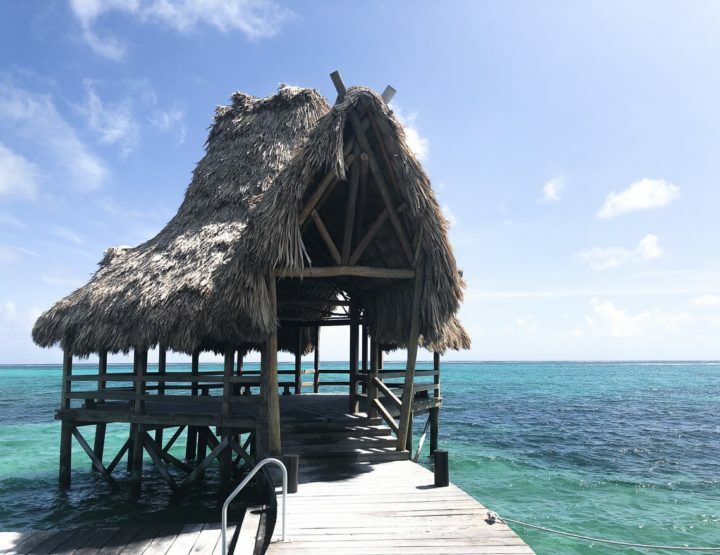 Five things to do on Ambergris Caye (San Pedro) in Belize. 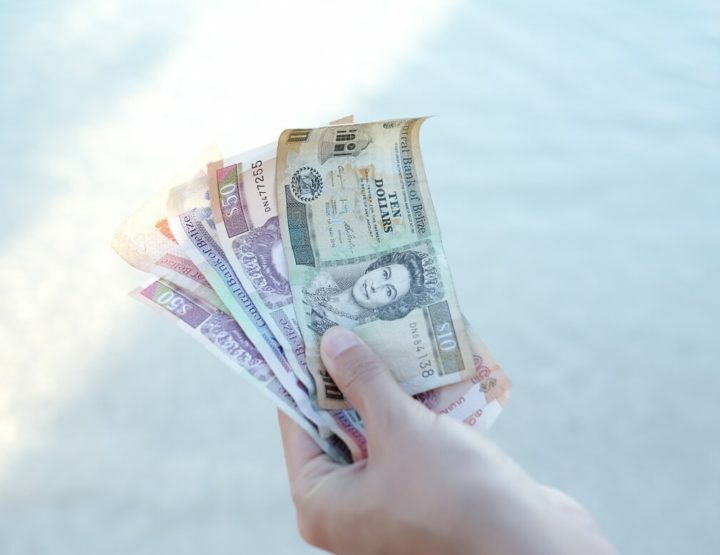 Budget tips: What did we spend in Belize? 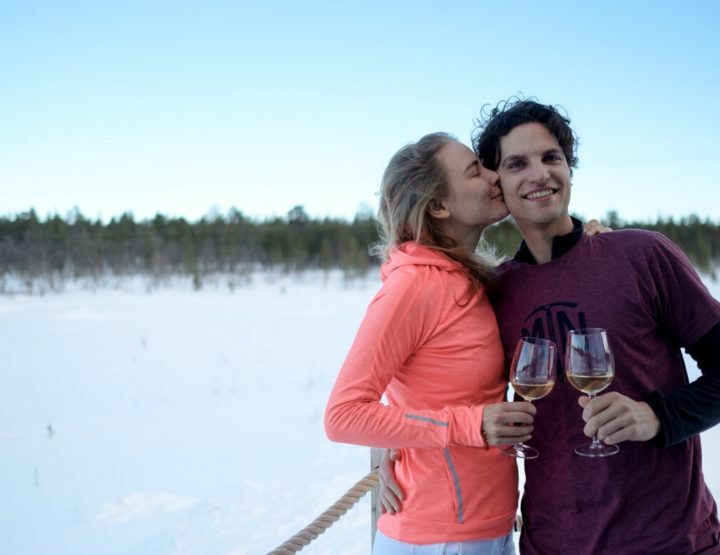 Diary: looking back at November and December!